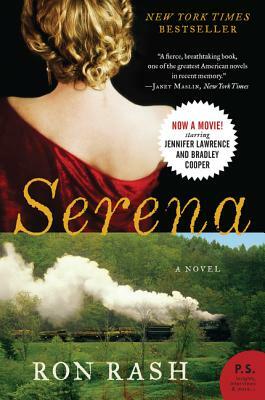 A New York Times bestseller and PEN/Faulkner Award Finalist, Serena by award-winning author Ron Rash is “masterfully written…sprawling, engrossing and—from time to time—nightmarish,” (San Francisco Chronicle); a remarkable novel that “recalls both John Steinbeck and Cormac McCarthy,” (The New Yorker). Rash’s chilling gothic tale of greed, corruption, and revenge set against the backdrop of the 1930s wilderness and America’s burgeoning environmental movement was named a Best Book of the Year by more than a dozen national publications, including the New York Times, Washington Post, San Francisco Chronicle, Chicago Tribune, and Miami Herald. Serena is brilliant contemporary fiction that exquisitely balances beauty and violence, passion and rage, cruelty and love.